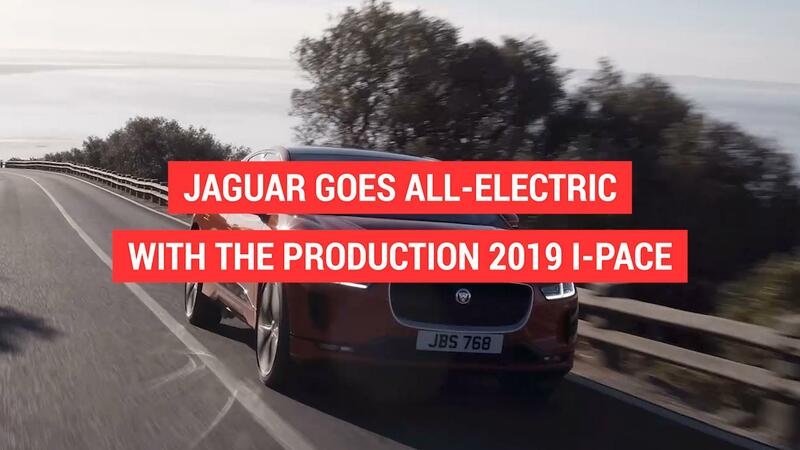 This is literally our first drive of the 2019 Jaguar I-Pace electric crossover. 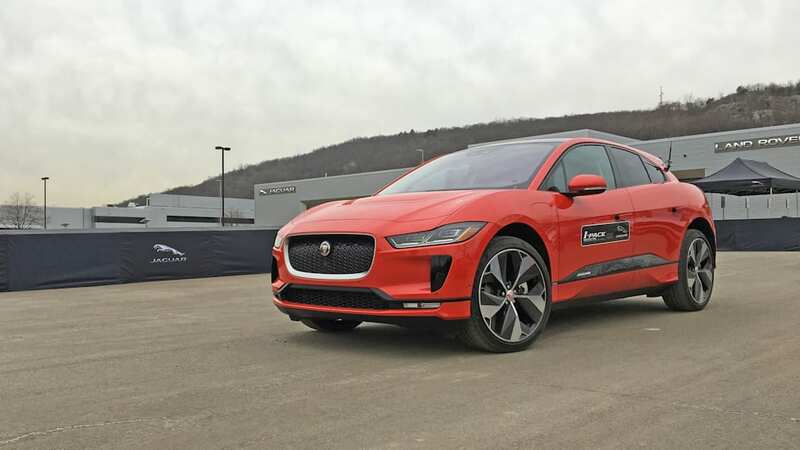 It lasted about 2 minutes and occurred on a tiny autocross in a frigid parking lot in New Jersey, but if we're to split hairs, it is indeed the first time we've piloted this revolutionary EV SUV-ish vehicle from a company better known for barking exhausts and slinky sport coupes. 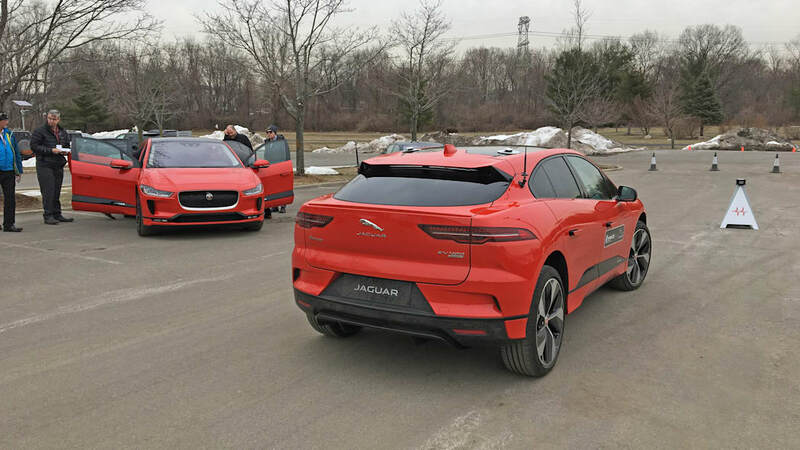 While the rest of the automotive press was gallivanting about Manhattan prior to the New York Auto Show, a select few were bused out to Jaguar-Land Rover's new corporate headquarters in Mahwah, N.J. 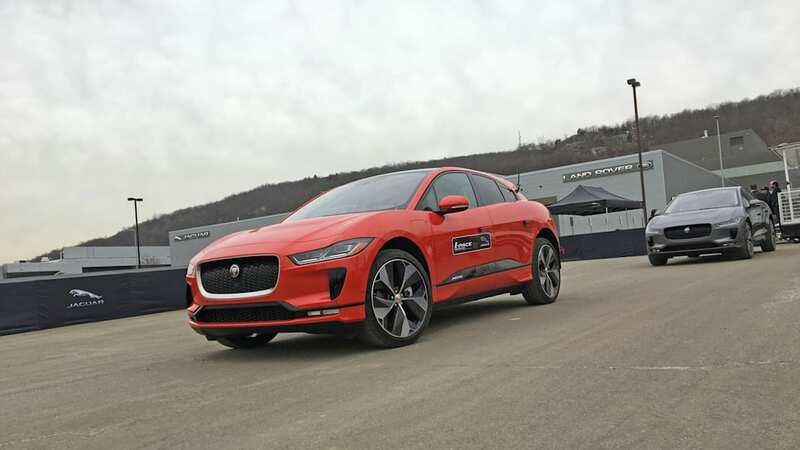 It was there we saw the world debut of the new F-Pace SVR, the North American debut of the Range Rover SV Coupe, and got our first real taste of the I-Pace. 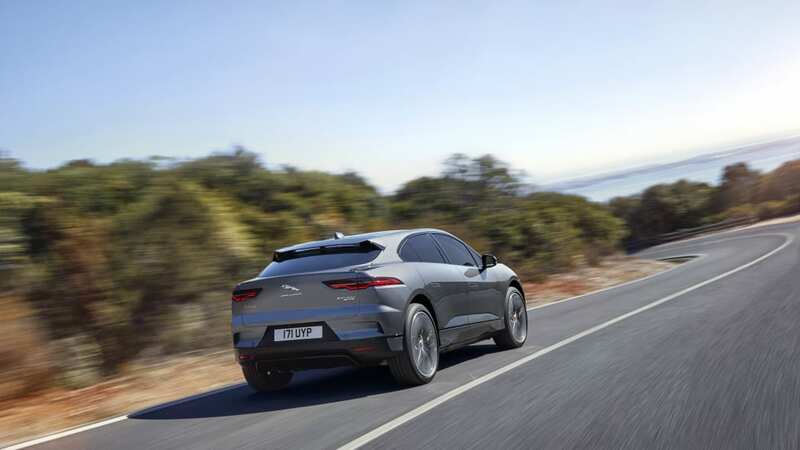 The chief impression is that it feels much smaller than its exterior dimensions would indicate, maneuvering quickly and effortlessly without a hint of roll. 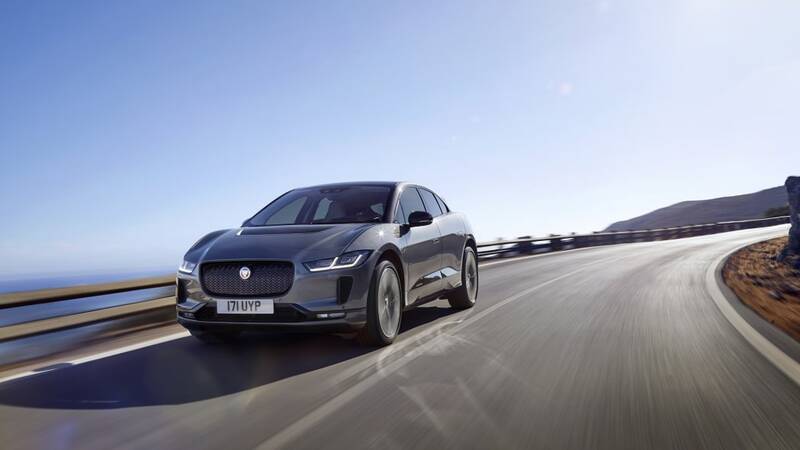 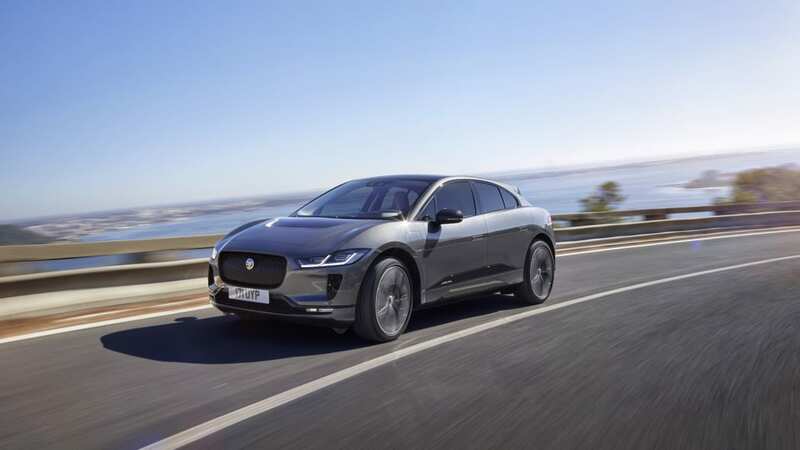 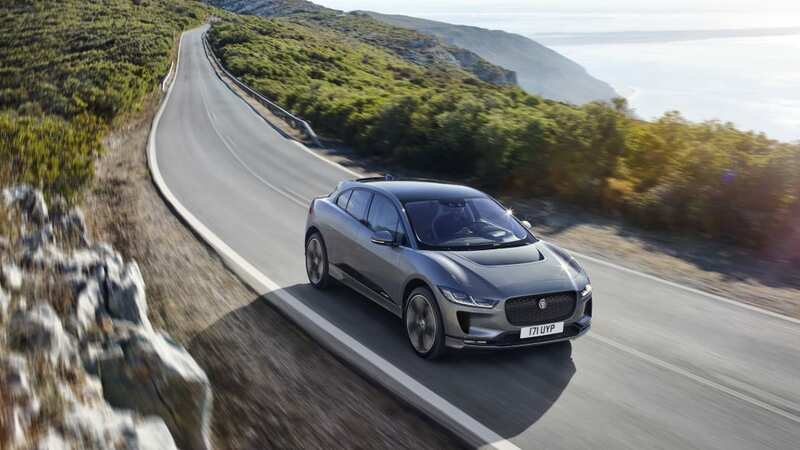 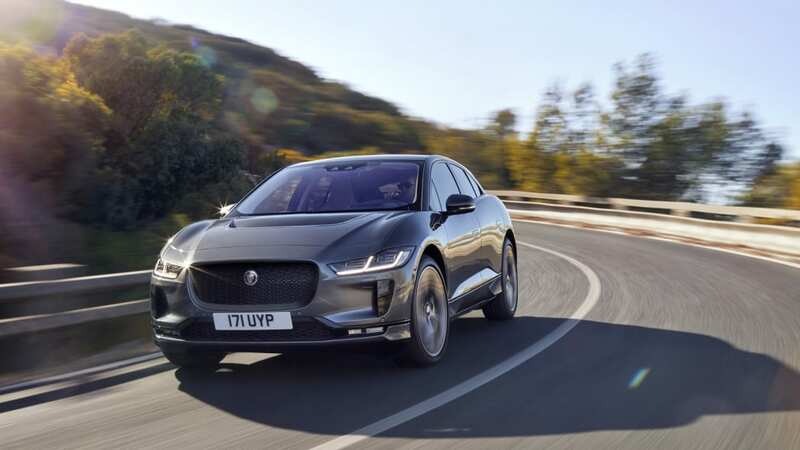 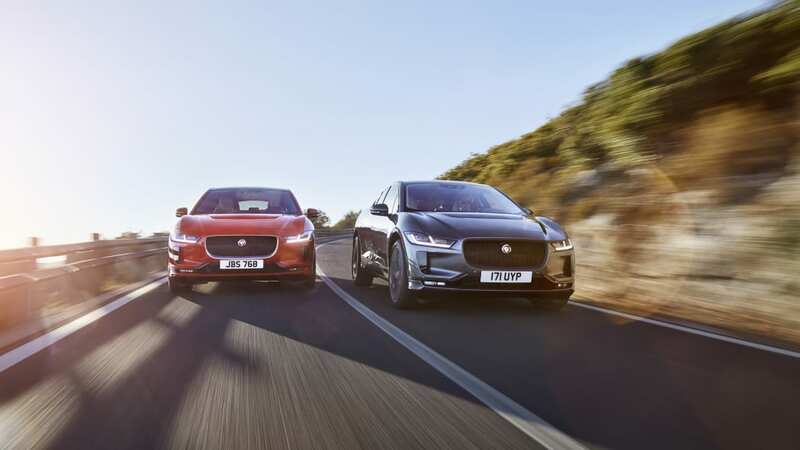 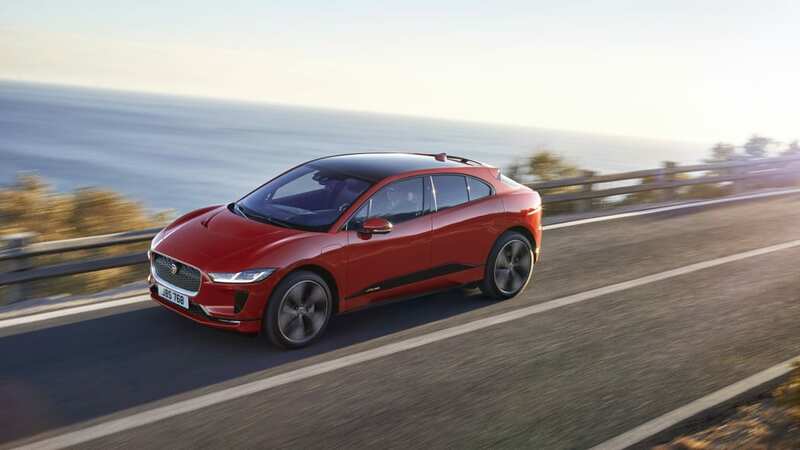 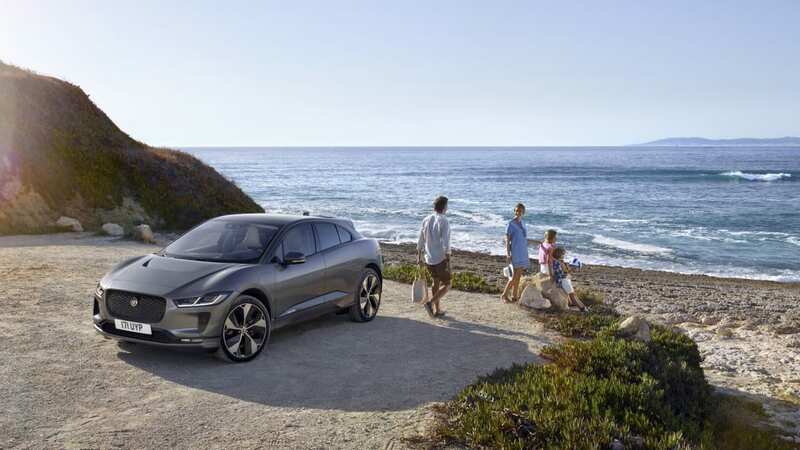 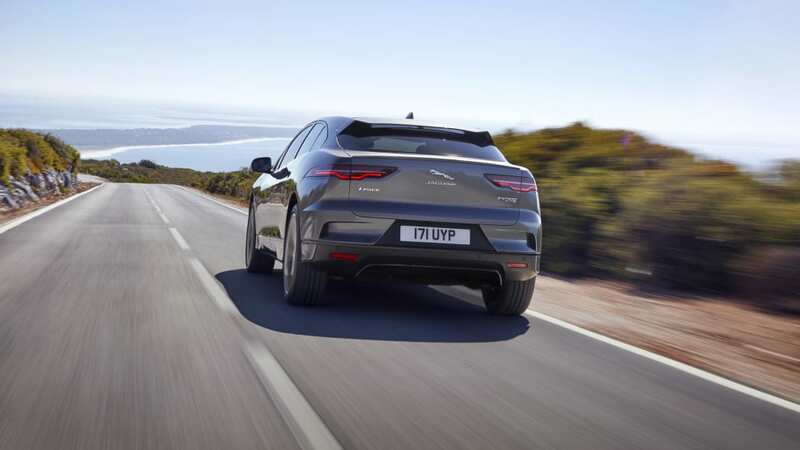 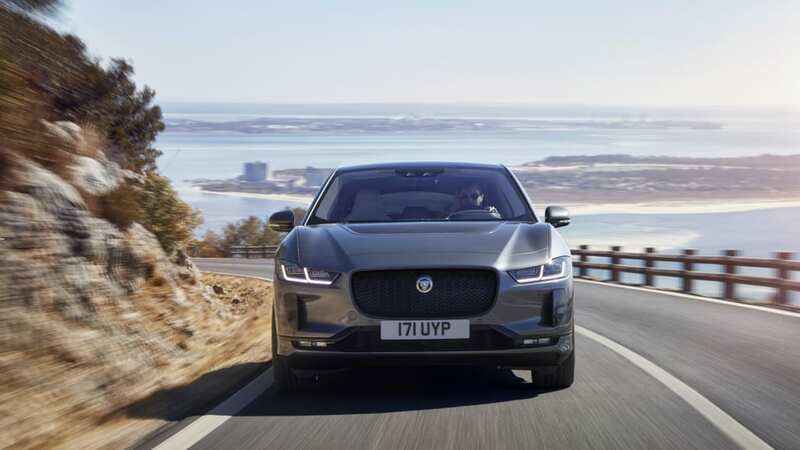 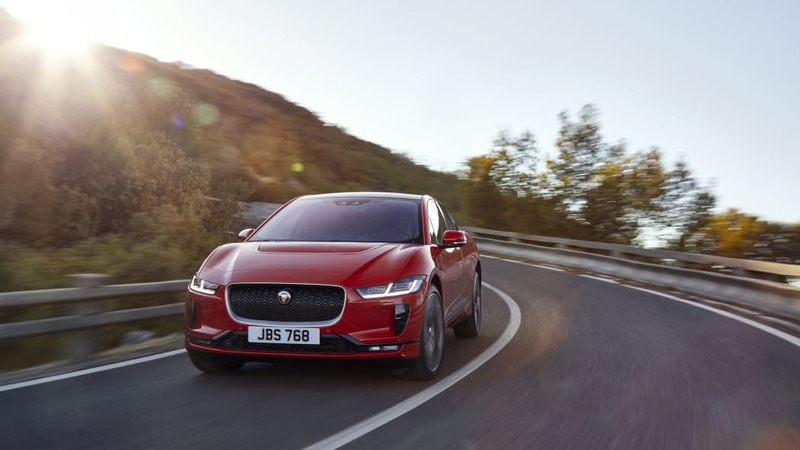 Credit the wheels pushed out to the absolute corners and a low center of gravity, both the result of Jaguar's decision to fully embrace the packaging and engineering possibilities of an electric powertrain. 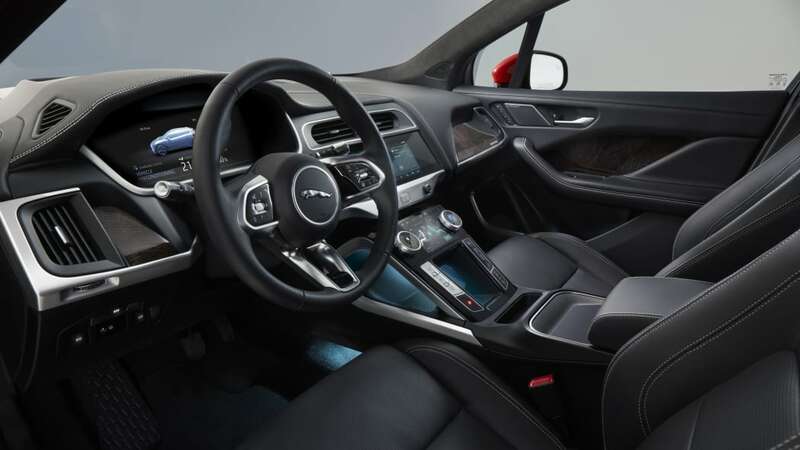 The steering was perhaps not as feelsome as other Jaguars, but again, who really knows? 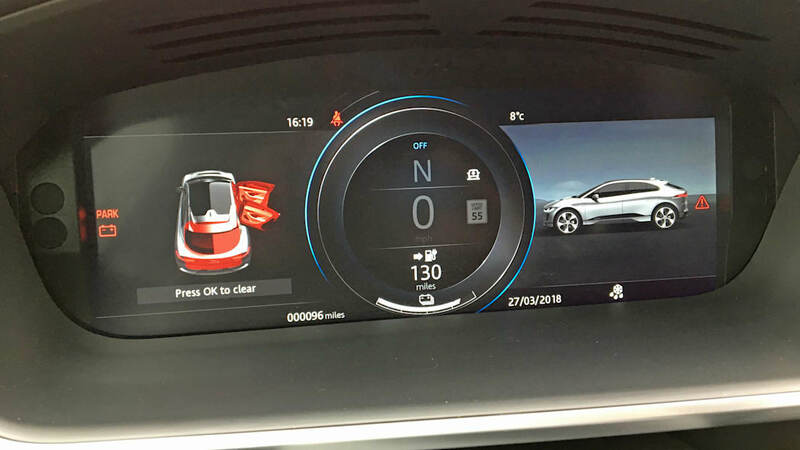 Two minutes, parking lot, etc. 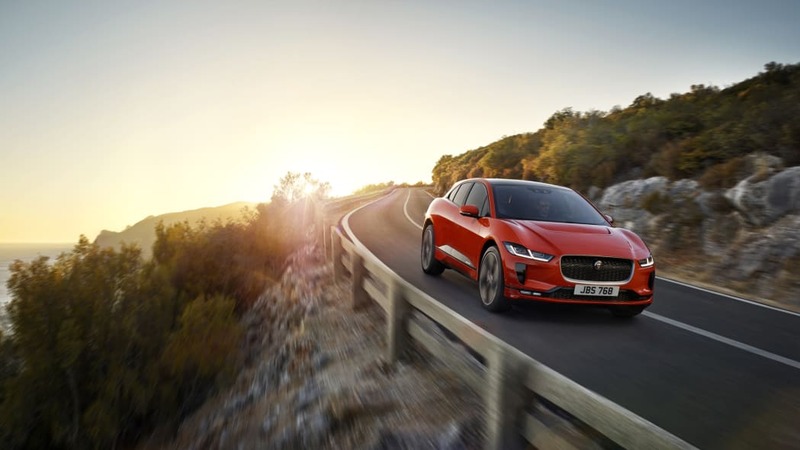 In terms of power, it sure is an electric car. 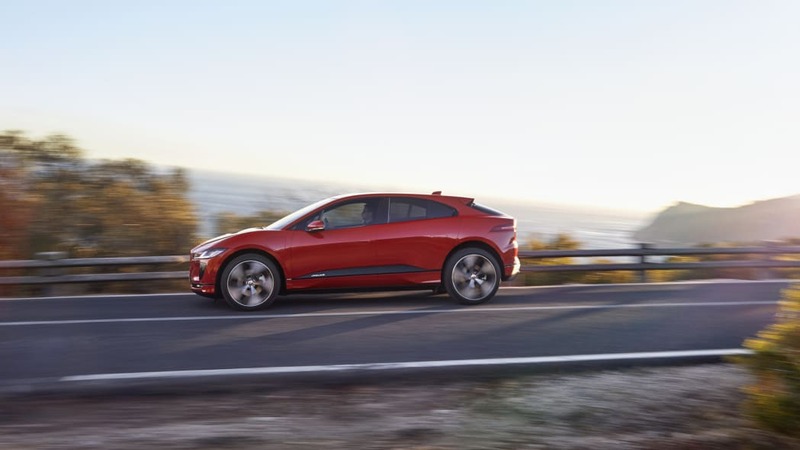 Smooth, quick and quiet, but with so little space to work with, there would've been little noticeable difference between the 394-horsepower I-Pace and the 147-hp Nissan Leaf currently sitting in my driveway. 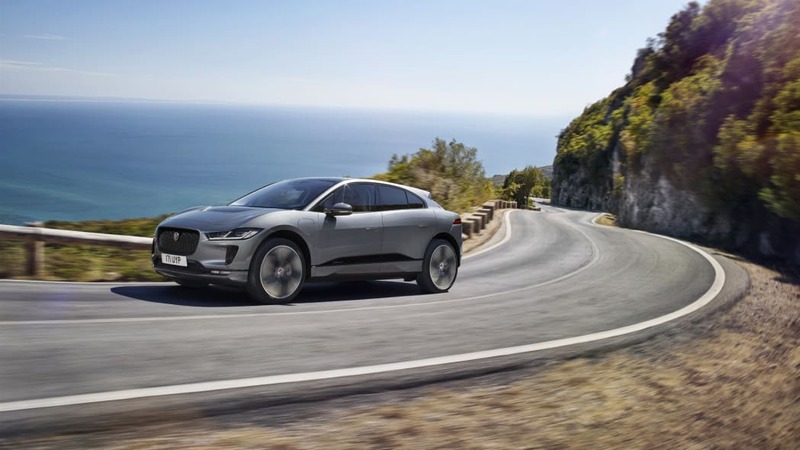 Its estimated range of 240 miles on the EPA cycle? 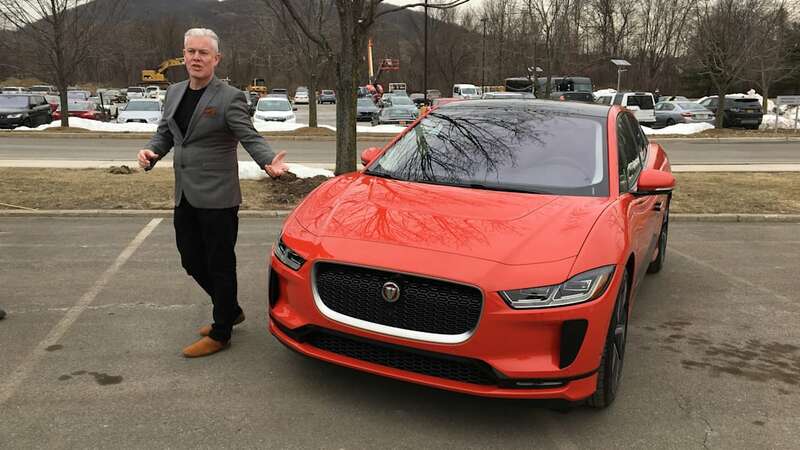 Uh, it was good enough for an afternoon of journalists driving in circles. 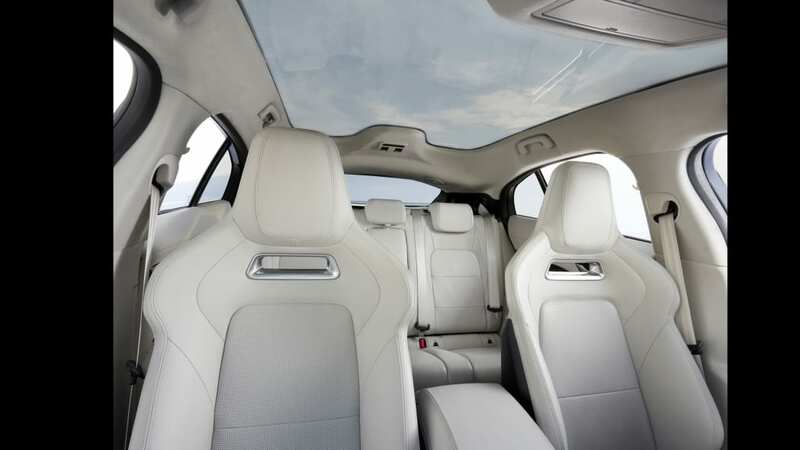 What I can definitively declare, however, is that the 2019 I-Pace boasts far superior interior quality than every Tesla I've driven. 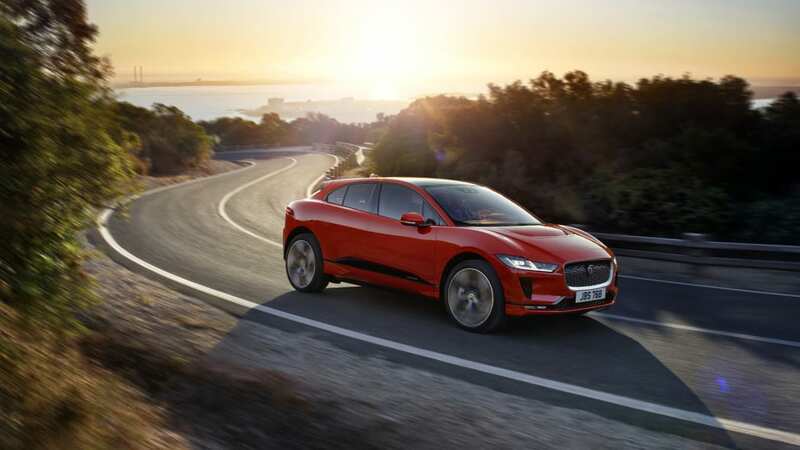 It's also, just as important, a considerable leap forward in terms of materials quality and design from the rather dull and disappointing current Jaguar litter of F-Pace, XF and XE. 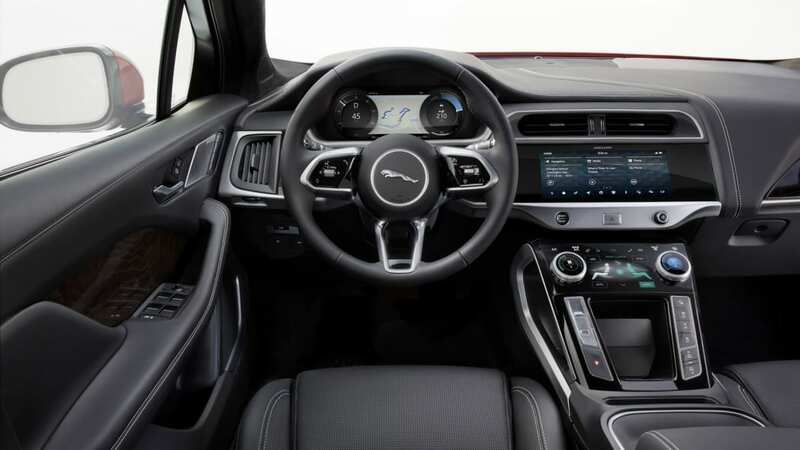 For instance, leather or leatherette always cover the dash (versus the rubbery stuff found in lower F-Pace, XF and XE trim levels), while there was clearly an effort made to visually spruce things up. 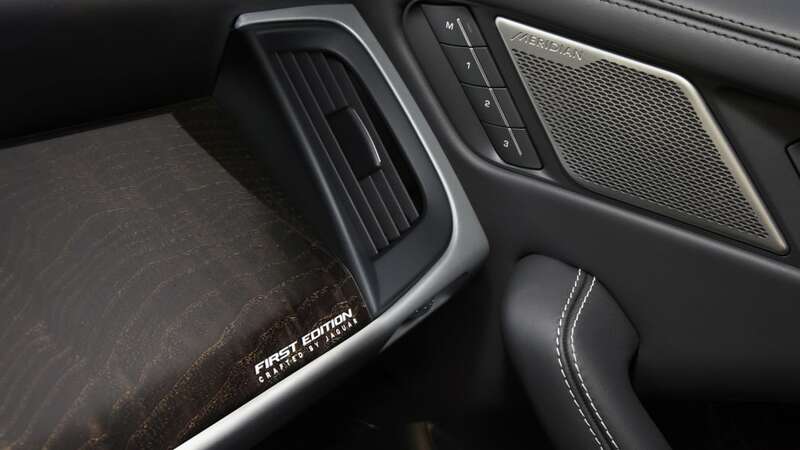 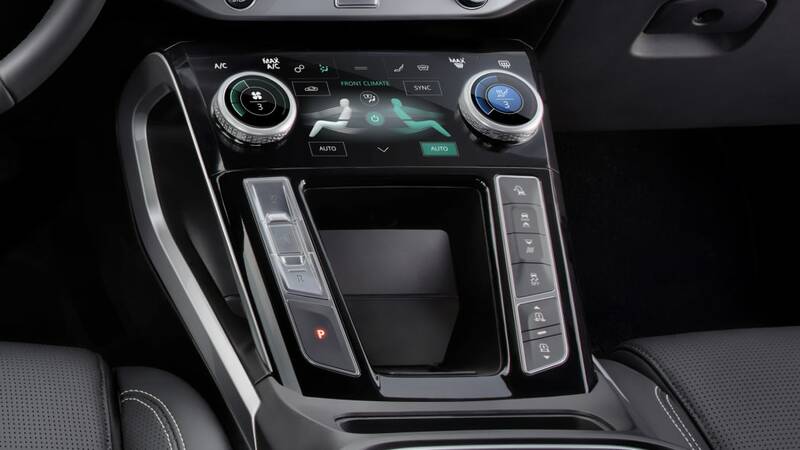 The dual-screen center console controls first seen on the Range Rover Velar also appear for the first time in a Jaguar, as does a unique push-button shifter (though I still prefer a properly utilized rotary). 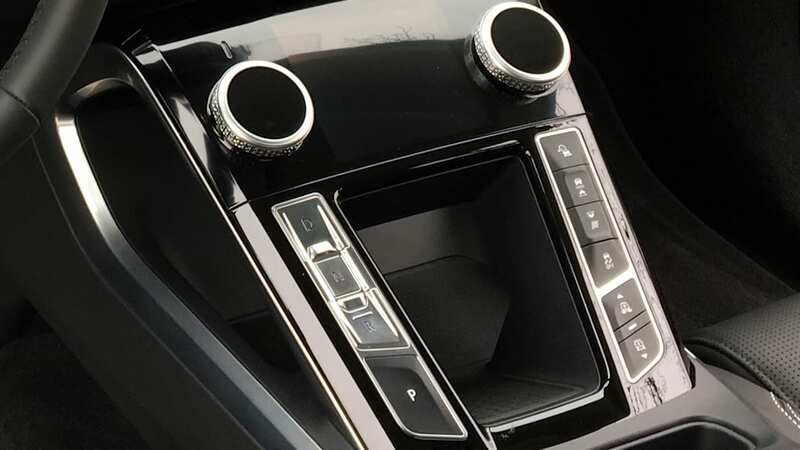 When I pressed designer Wayne Burgess to describe the interior's aesthetic change and asked whether it was a sign of things to come, he ignored the query and adeptly pivoted to talking about the cabin's inherent space efficiency advantages. 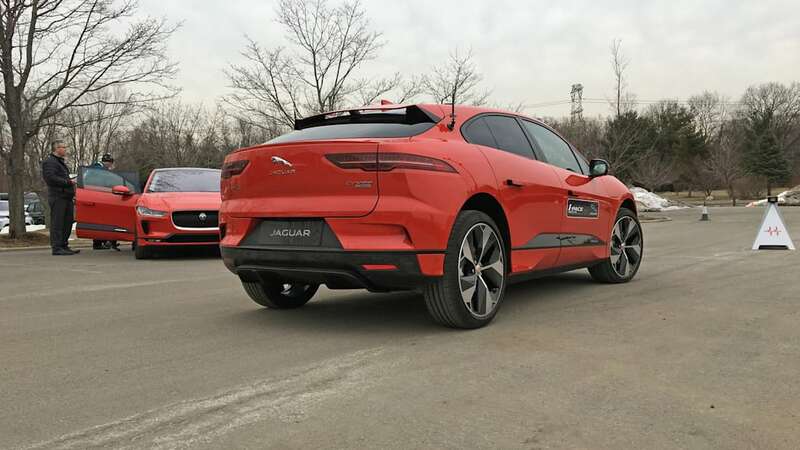 Very well, at least it's a point worth making. 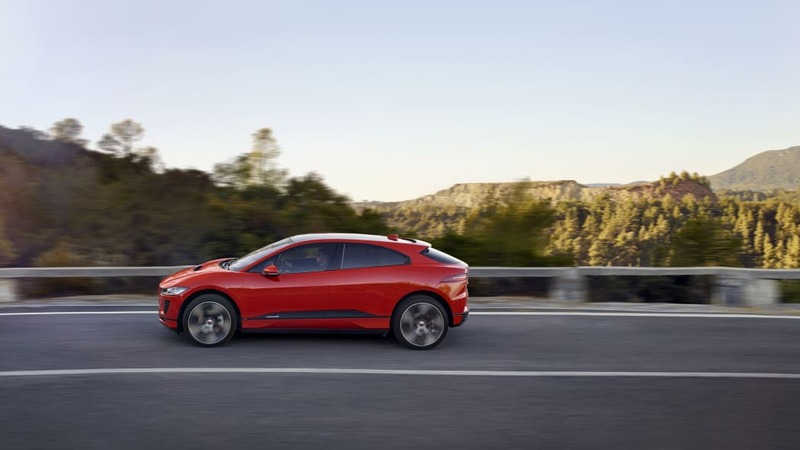 Here the switch to an electric-only platform allowed the designers and engineers to adopt a cab-forward design inspired by mid-engine supercars like Jag's C-X75 concept, and definitely not the Dodge Intrepid. 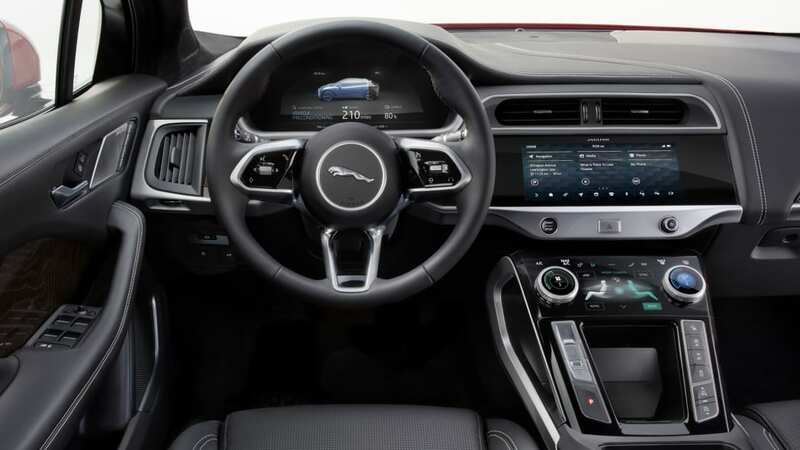 Doing so freed up a ton of interior space, for although its exterior length is on par with a Porsche Macan, Jaguar says its interior volume is similar to that of a long-wheelbase Jaguar XJ. 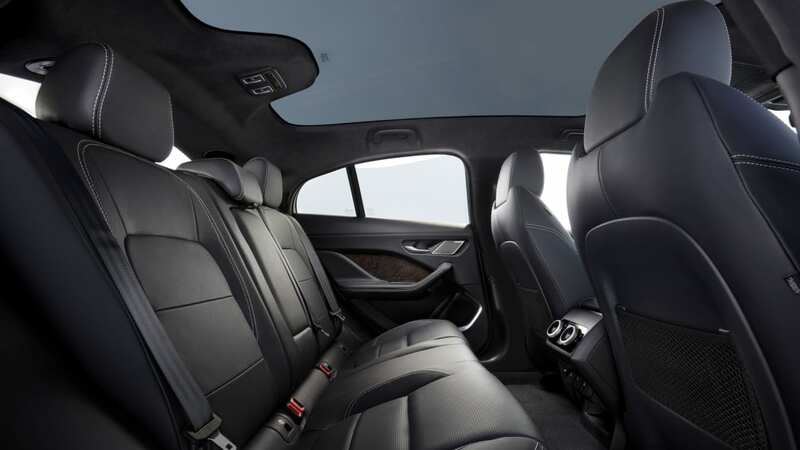 Rear seat legroom on paper is on par with both the Tesla Model 3 and Model S.
In practice, the back seat has more than enough headroom despite the panoramic glass roof, but the seat itself is mounted a wee bit low for ideal comfort. 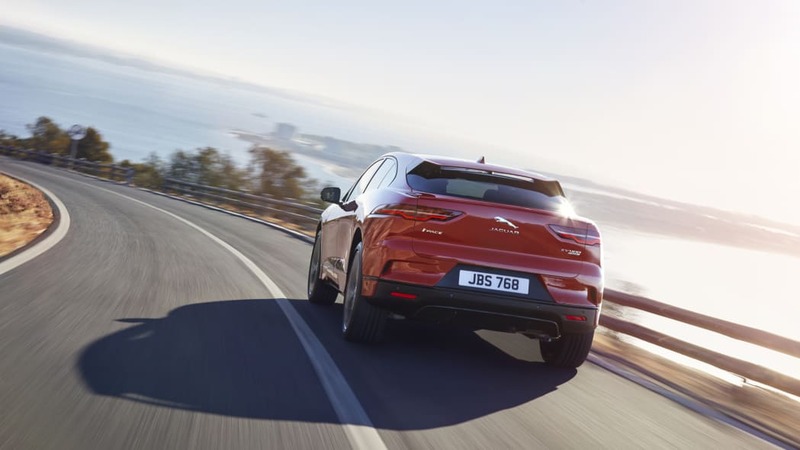 It's better than the rock-bottom BMW X4's, but is comparable to other SUV/coupe creations. 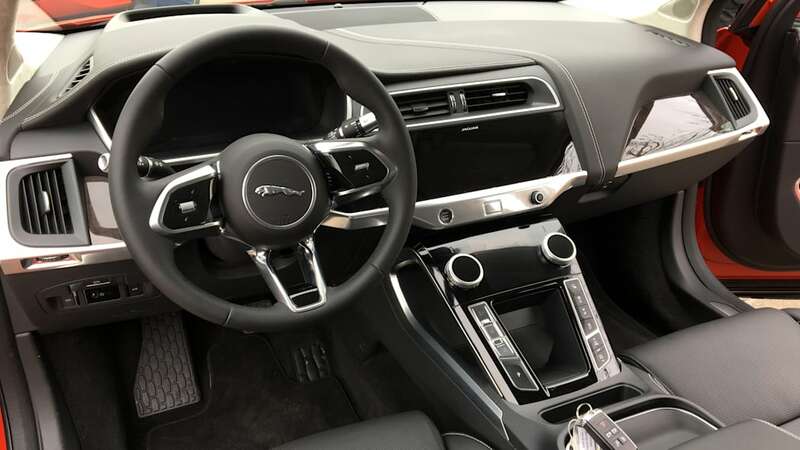 Up front, the seats demonstrate ample adjustability range, and although they're mounted a bit higher than a typical car's, and definitely a typical Jaguar's, the driving position is not what one would call "commanding." 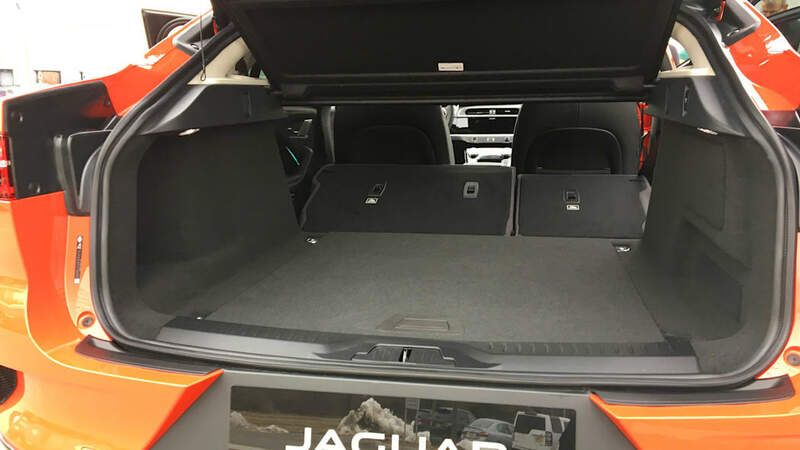 The cargo area is basically a really big trunk (25.3 cubic feet) as that sloped rear deck doesn't do much for versatility. 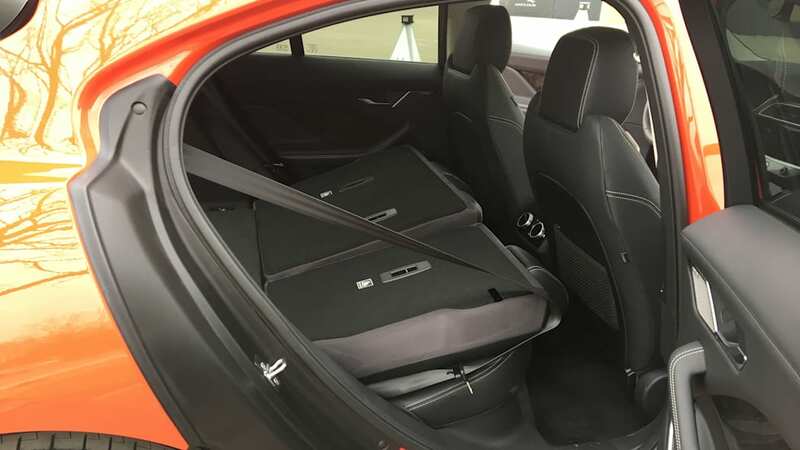 It's at least a hatchback, though, which gives it an advantage over the Tesla Model 3's traditional sedan trunk. 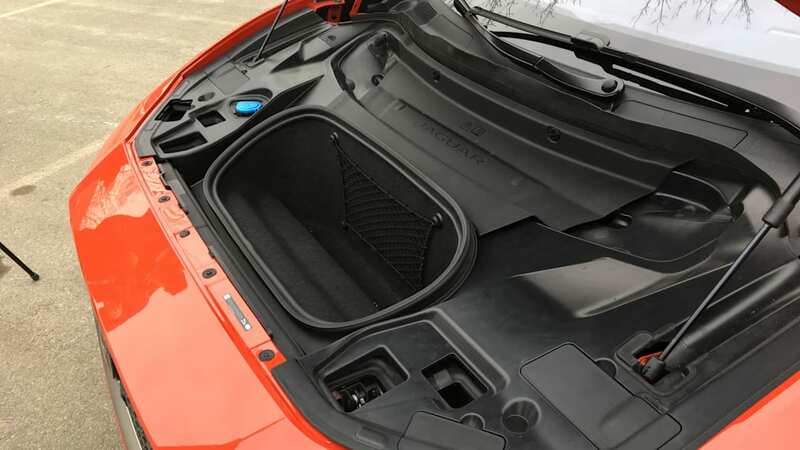 The frunk offers a token 0.95 cubic feet that's probably big enough to store a large house cat (not attempted, not recommended). 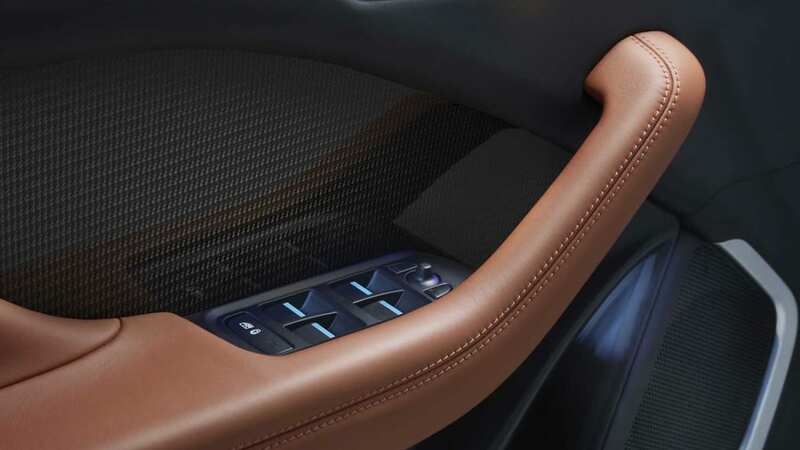 Inside, the center console adopts more storage than other Jags since there isn't a driveshaft gobbling up room. 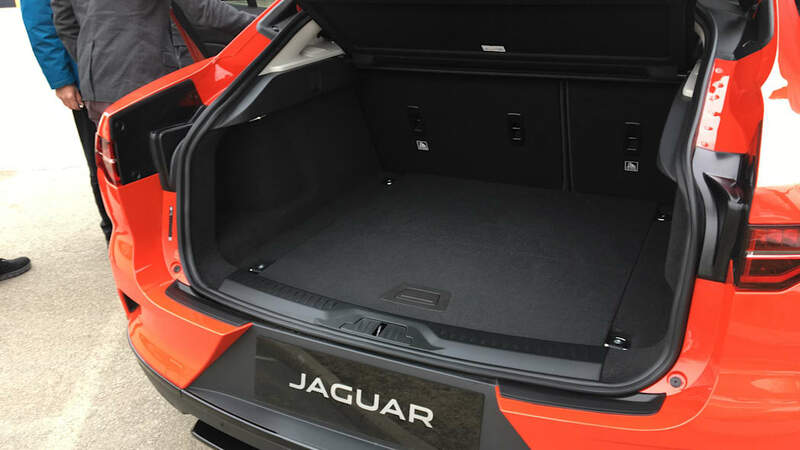 This includes a main bin that offers 10 liters of space, which both Burgess and chief Jaguar designer Ian Callum separately confirmed is big "enough to hold two wine bottles." 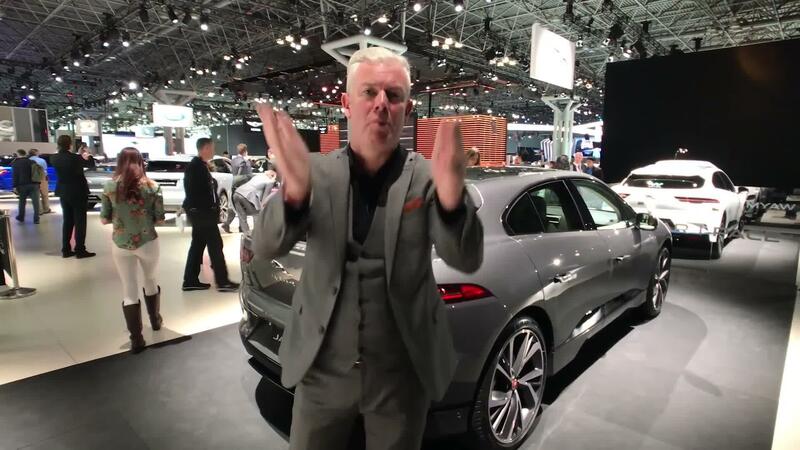 At least we know there's a design studio bar. 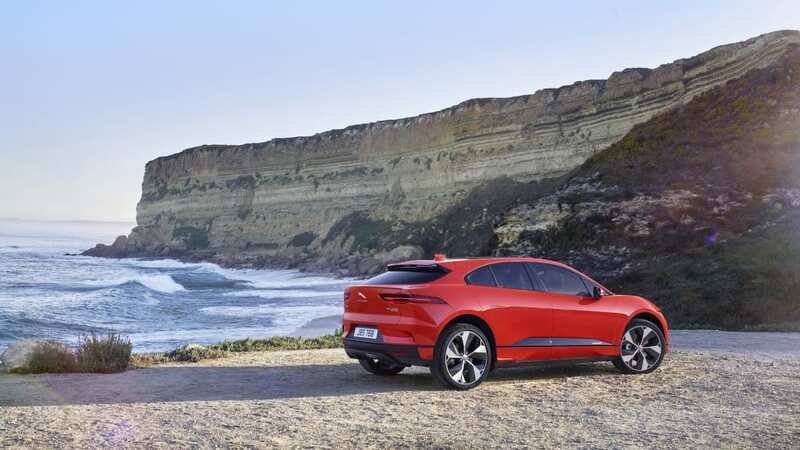 So full driving impressions will have to wait for an actual first drive of the 2019 I-Pace, but I can at least say that this is a car worth getting excited for. 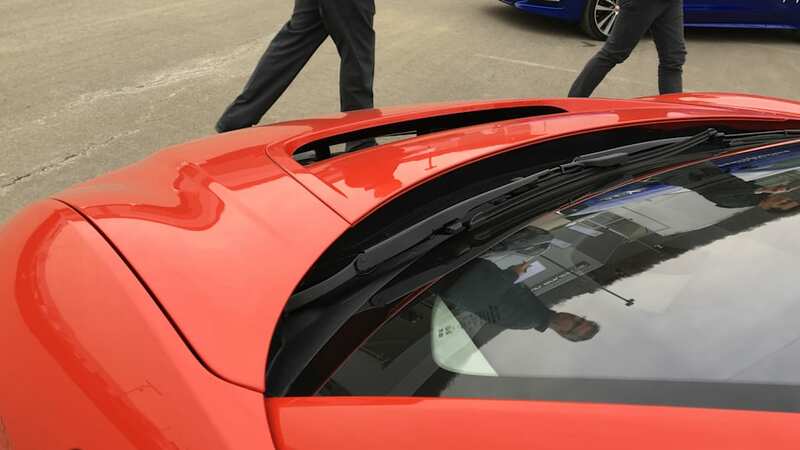 In fact, Callum says it's the most exciting project he's ever been a part of, which is certainly impressive should you peruse his résumé. 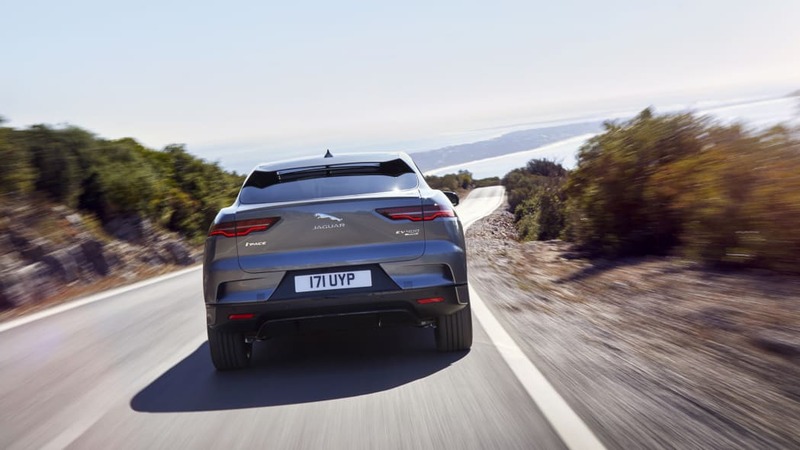 And really, if this thing had a spikey T logo on its trunk rather than a leaping cat, I'd wager the Internet would melt, women would faint in the streets and waiting lists would stretch to Mars. 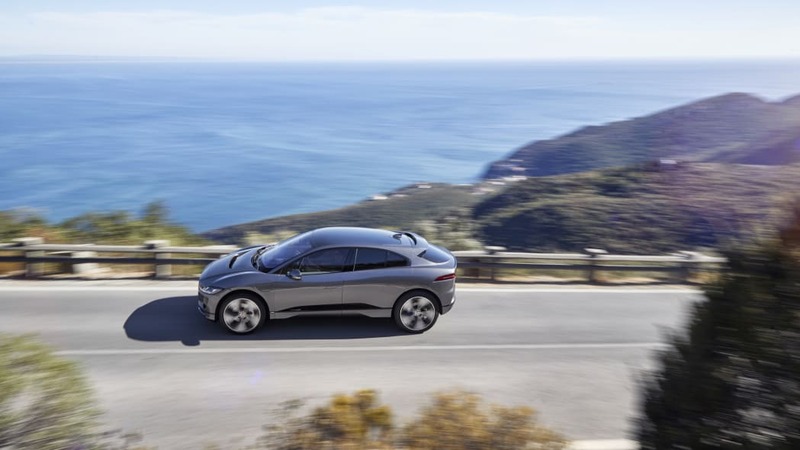 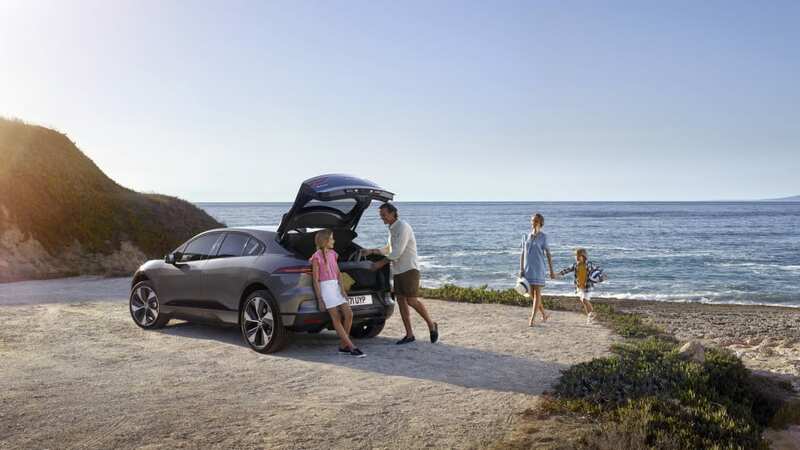 As it is, you can order an I-Pace right now with a starting price of $69,500 for the full 90kWh battery, 240-mile range and 0-60 time of 4.5 seconds. 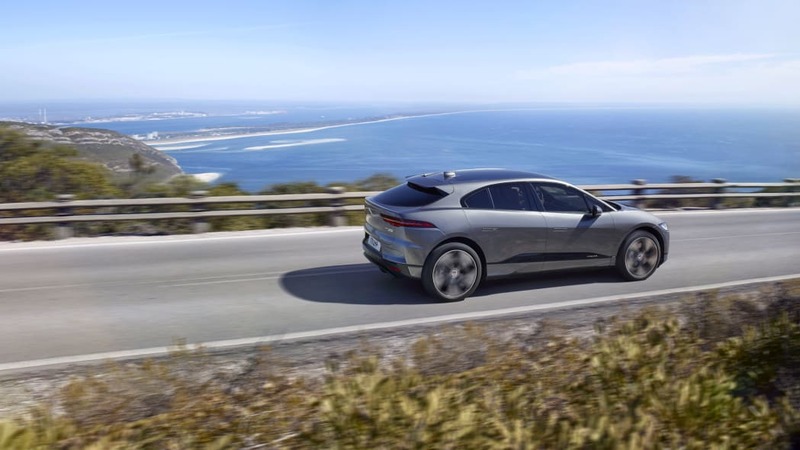 Deliveries begin in the second half of this year. 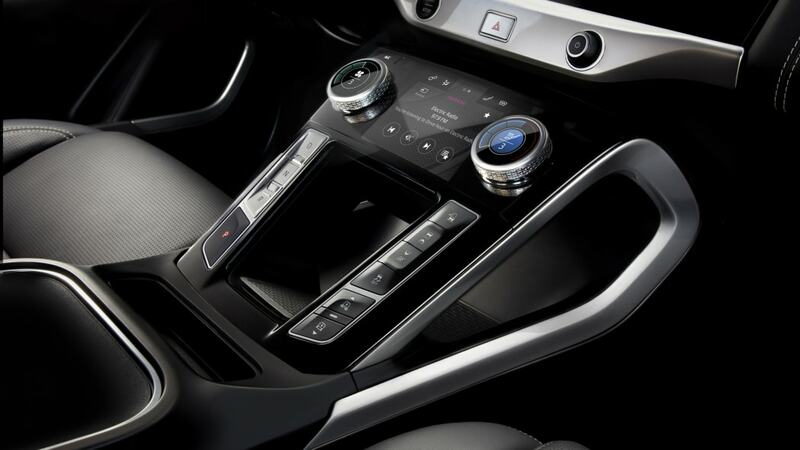 Hopefully we'll get a few more minutes behind a wheel between then and now.